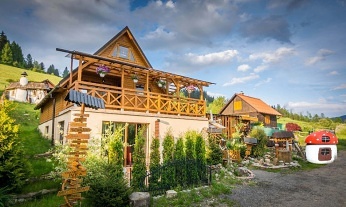 Apartments Tania - cottage Závažná Poruba - Tatry - Liptovská Mara. 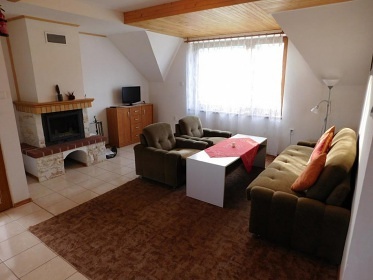 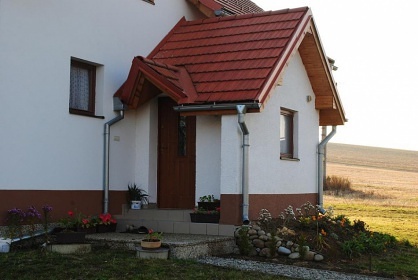 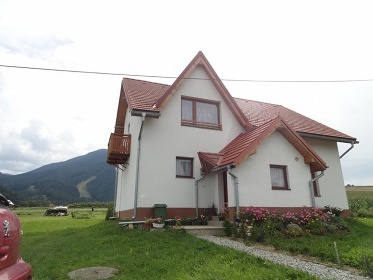 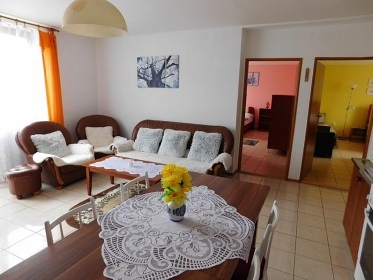 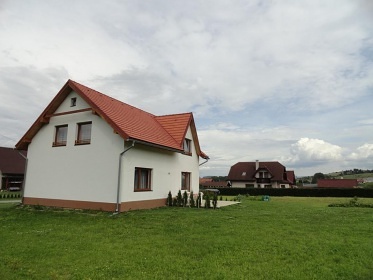 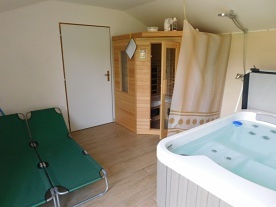 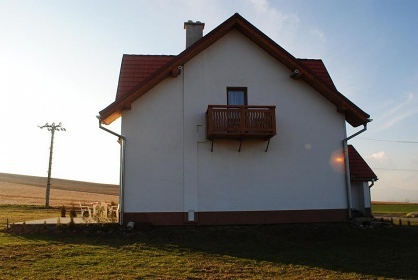 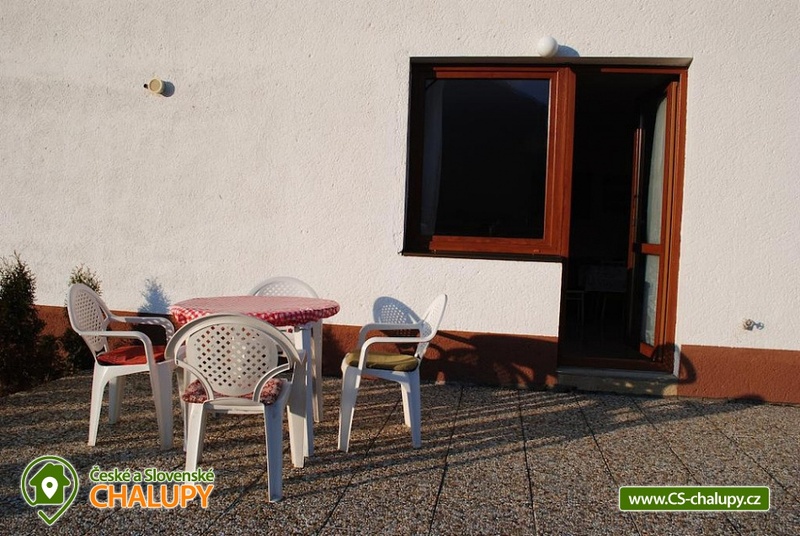 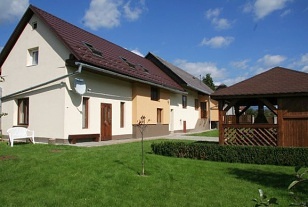 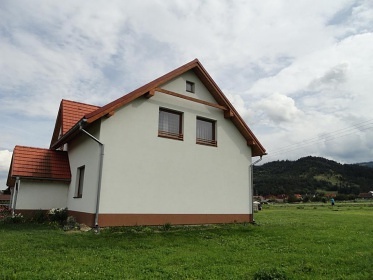 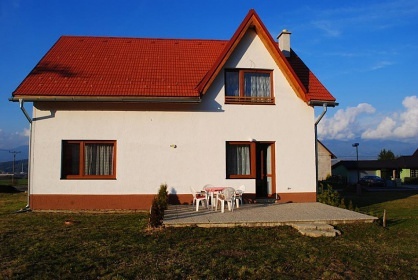 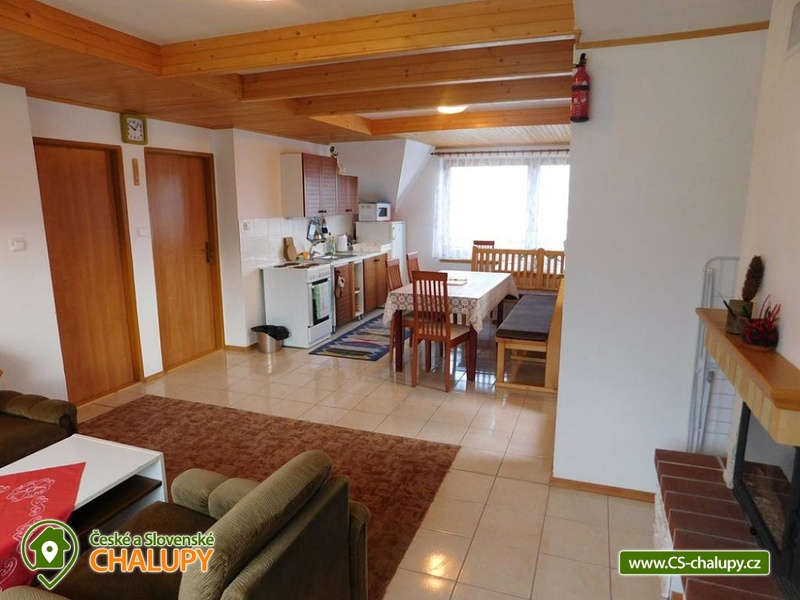 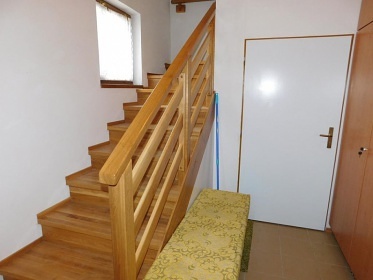 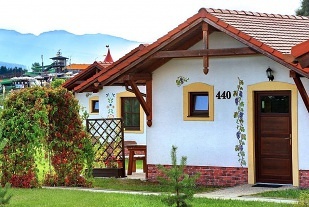 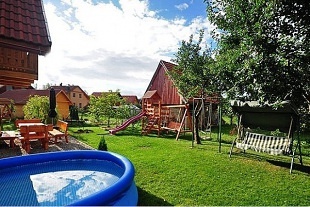 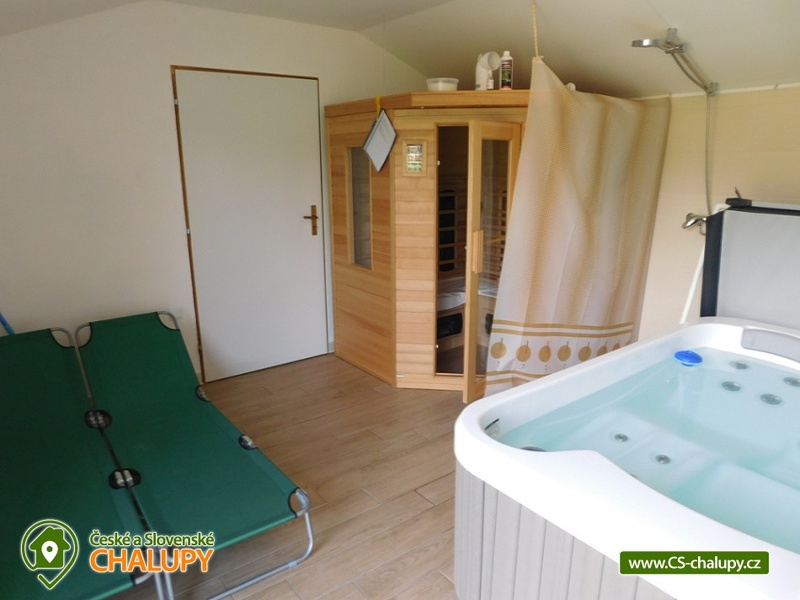 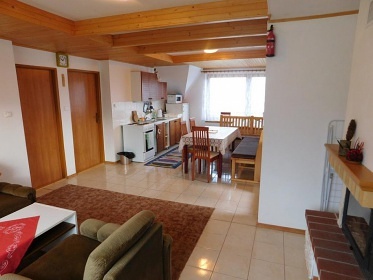 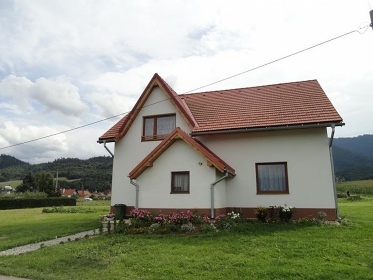 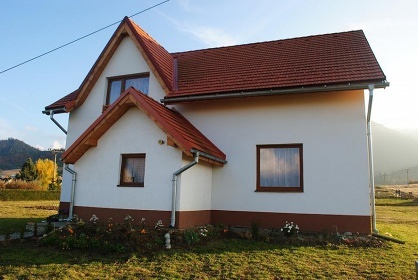 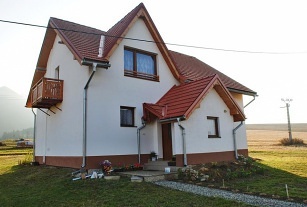 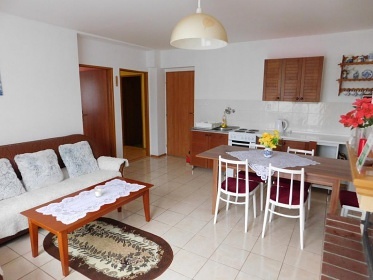 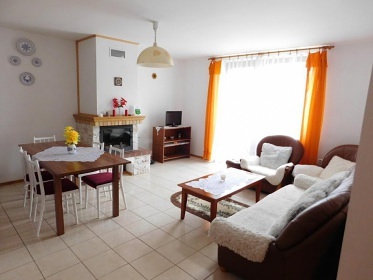 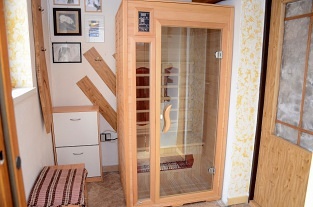 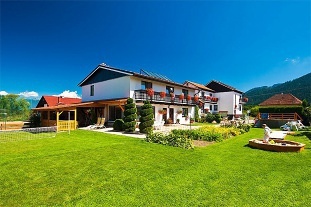 Comfortable apartment house with sauna and whirlpool located in the village of Závažná Poruba, Thermal Park Tatralandia and Bešeňová, district Liptovský Mikuláš. 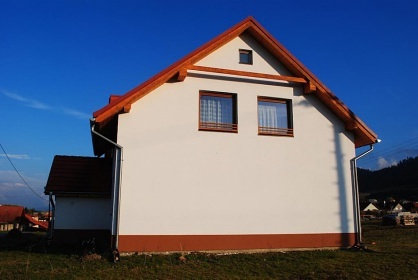 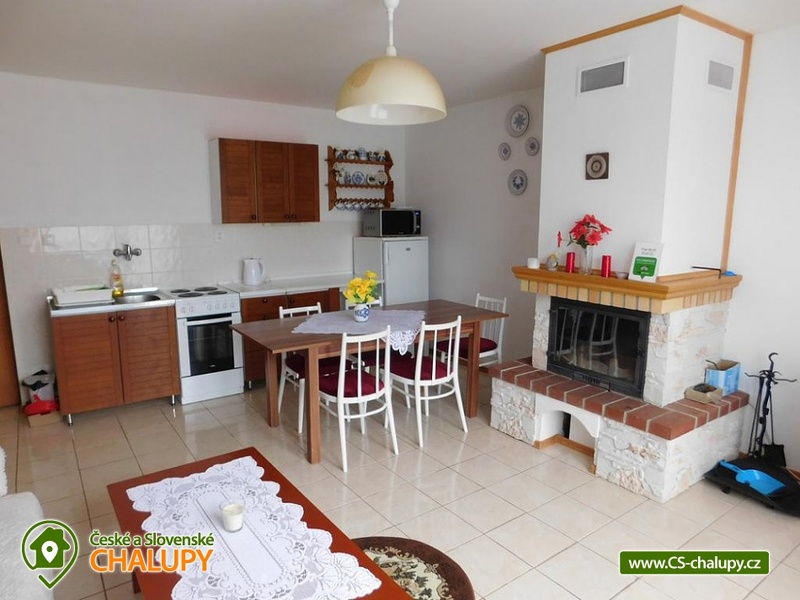 Comfortable two-storey newly built cottage with 2 apartments for 2x 8 persons, which can be rented as a whole to a group of clients (privacy), it is possible to rent both apartments separately. 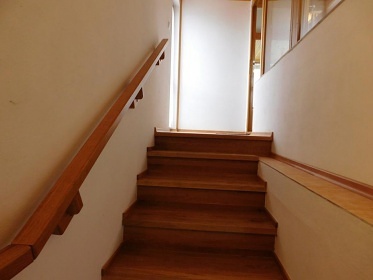 There are 2 separate apartments for 2x 8 people: the first apartment is on the ground floor and the second apartment is upstairs. 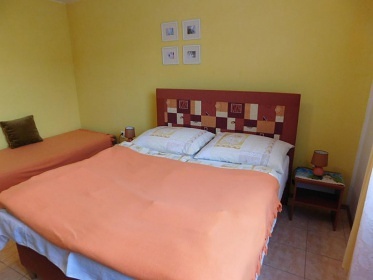 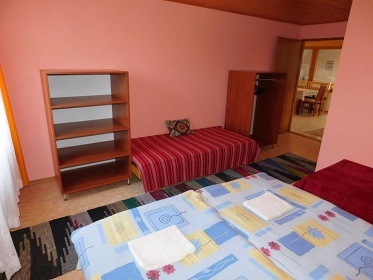 Each apartment has its own bathroom and consists of a fully equipped kitchenette (electric stove with oven, microwave, fridge, kettle), dining table, living room: sofa, TV and 2x 4-bedded bedroom (double bed and 2x single bed). 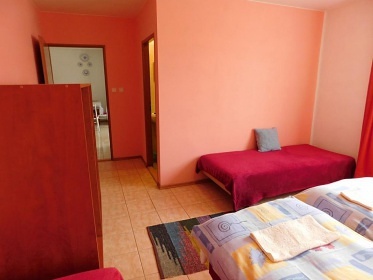 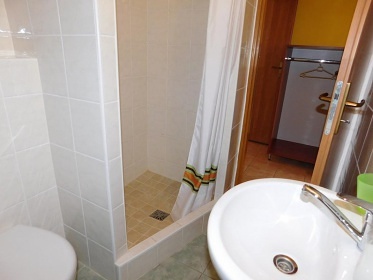 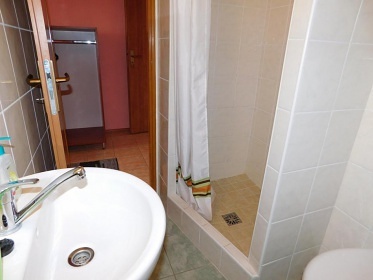 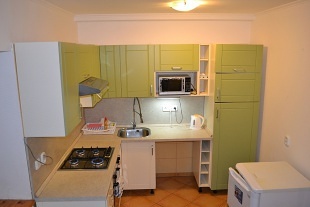 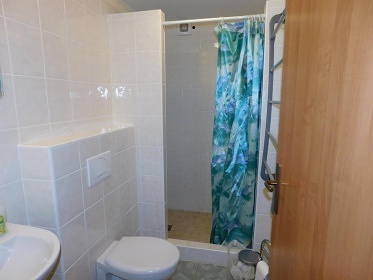 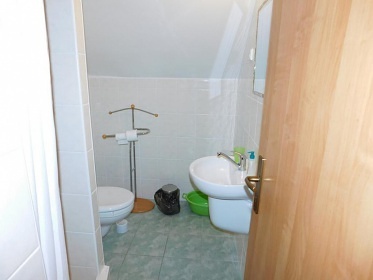 The sanitary facilities consist in each apartment of 2 bathrooms with shower and 2 toilets (4x bathroom and 4x toilet). 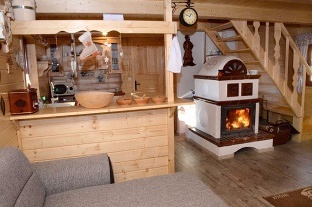 Heating is provided electrically on the floor. 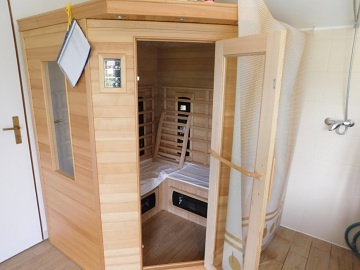 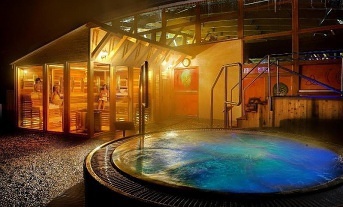 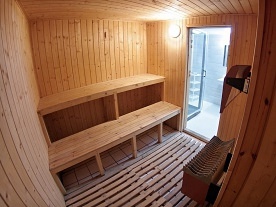 The property has a sauna and jacuzzi. 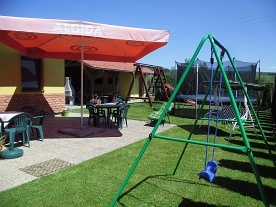 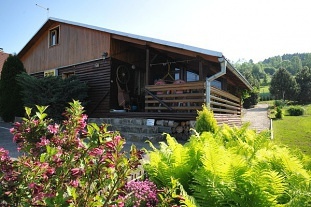 The cottage has a balcony, a terrace, garden furniture, a barbecue and a storage room for sports equipment. 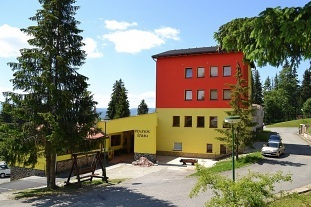 Open space, parking right next to the building. 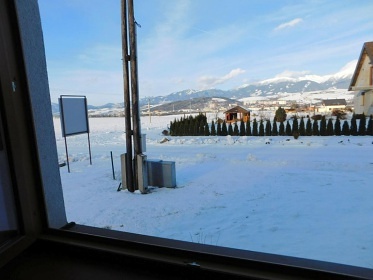 Object at the foot of the Low Tatras, surrounded by beautiful nature. 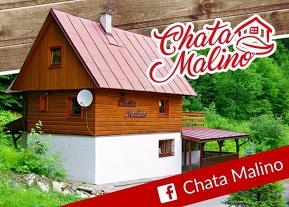 Attractive location of the Liptovská Mara water reservoir, thermal aquapark Tatralandia (11 km) and Bešeňová, Demanovska Ice Cave (12 km). 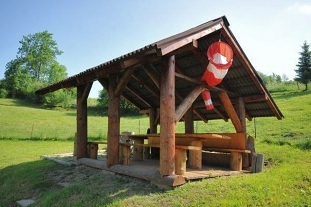 In the summer there are marked hiking trails and biking trails. The village of Pavčina Lehota is 14 km, Ružomberok 30 km and Poprad 55 km. 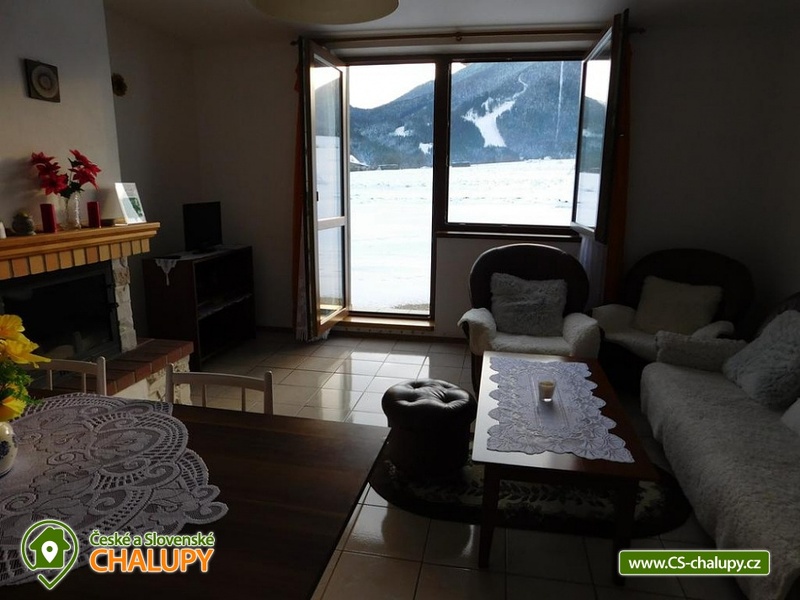 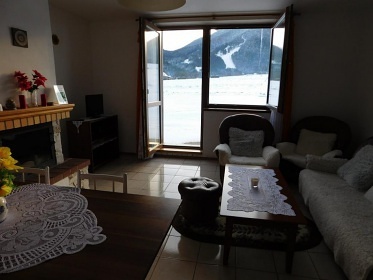 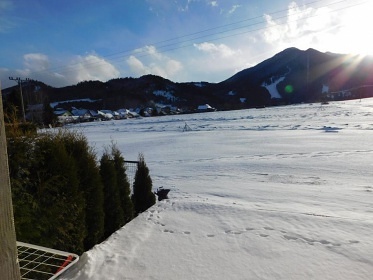 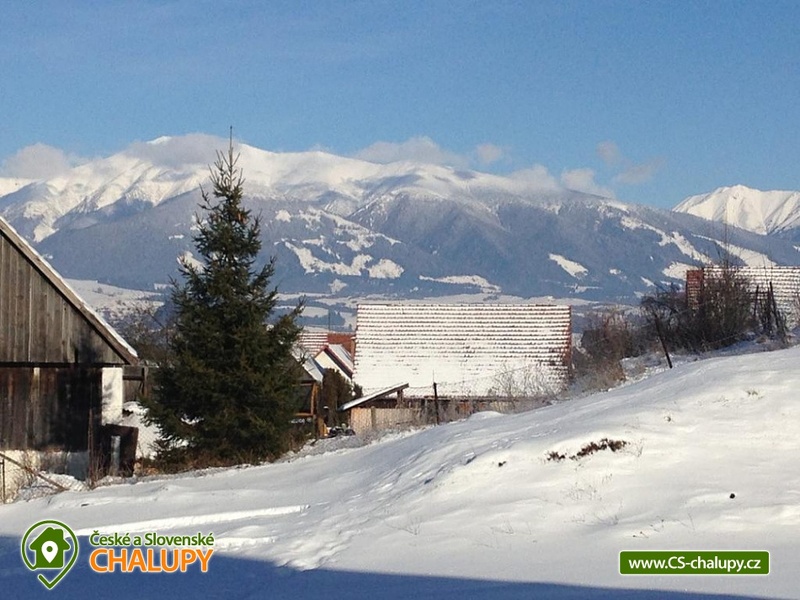 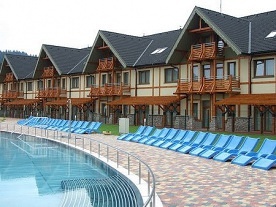 The biggest attraction near the accommodation is the ski resort called Opalisko - Slovakia. 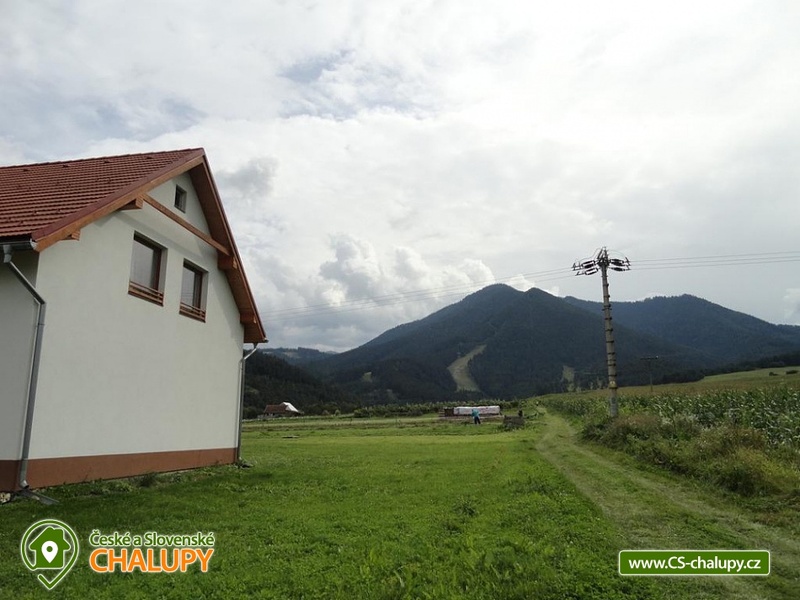 It has three slopes of different difficulty, the terrain is daily adjusted. 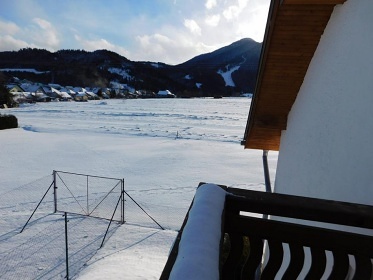 The lack of natural snow is compensated by artificial snow, with four ski lifts in the center. One is a popular chairlift for a hike to the mountain. 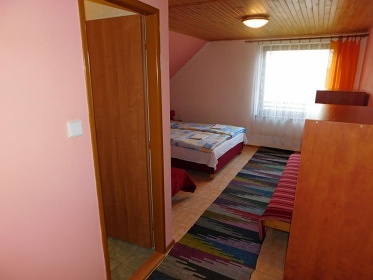 In the area there is a ski kindergarten suitable for smaller children, the center is equipped with two buffets and a toilet. Additional information Celoročně platí min. 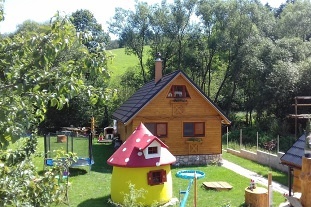 platba za 3 noci nebo za víkendový pobyt. 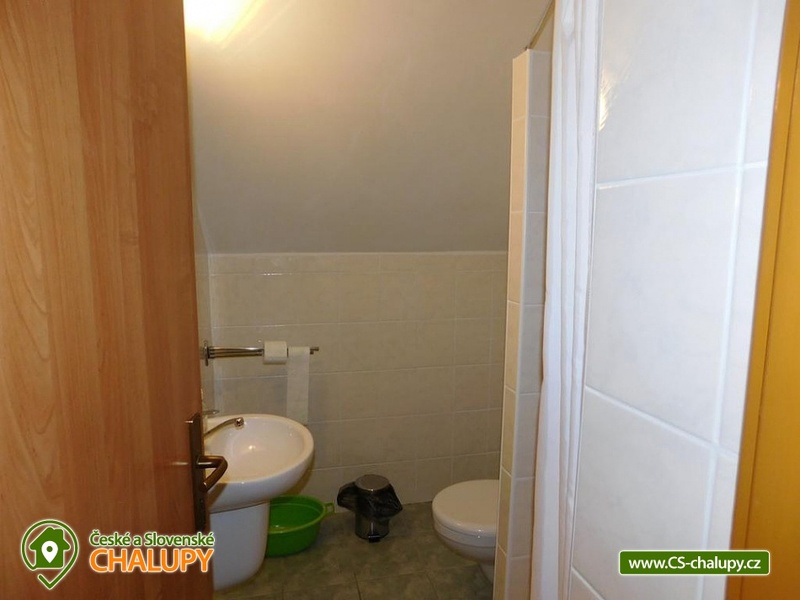 Additional information Lůžkoviny jsou poskytovány v ceně pobytu. 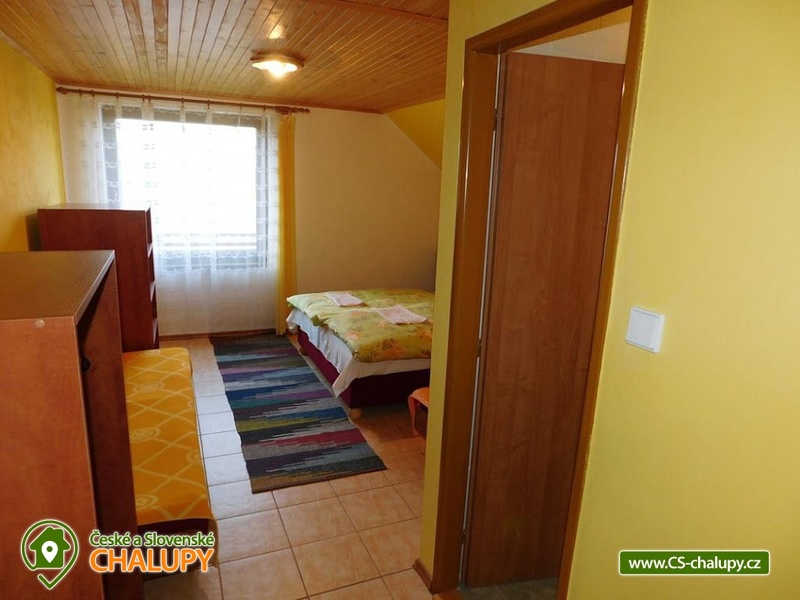 Za poplatek možno využít saunu a vířivku, cena je 3 EUR/osoba (min. 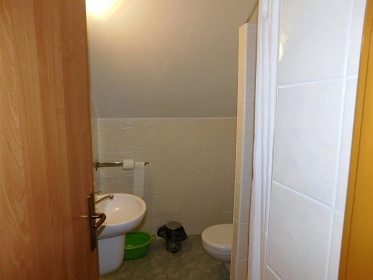 platba 10 EUR za zprovoznění).